Car Servicing and Repairs in Oxford from people you can trust! 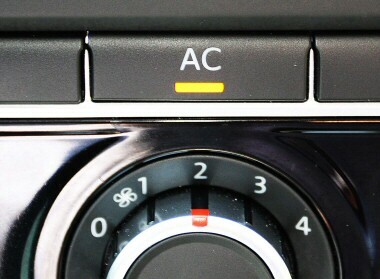 Most modern cars now come equipped with Air Conditioning and this feature is wonderful not only to keep you cool on a hot day but also as an aid to de-misting your car on those damp days as well! Like your engine, for it to work efficiently, your Air Conditioning system should ideally be serviced every 2 years rather than waiting for it to stop working. Whilst we are known as Air Cooled Engineering this name is actually unrelated to the fact that we service Air Conditioning! Our name came from when we specialised in the service of Air Cooled Cars rather than Air Conditioning in cars! However, we were one of the first garages in the Oxford area to undertake Air Conditioning Service and Repairs and our long term knowledge of Air conditioning systems in cars makes us the ideal people to repair and maintain your air conditioning system. We can also provide regassing servives to the new refrigerant HFO-1234yf as is used on all new vehicles from 2017. We have all the equipment to carry out this work on the premises and we always use environmentally approved systems to ensure that no pollution is caused with old refrigerant being collected and properly re-cycled.